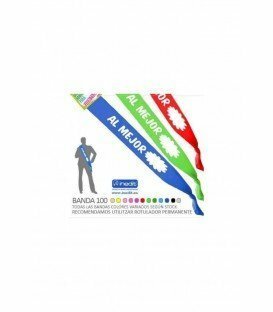 BANDAS HONORÍFICAS Hay 25 productos. BANDAS HONORIFICAS DE 70MM CON COPA AL MEJOR AMIGO. 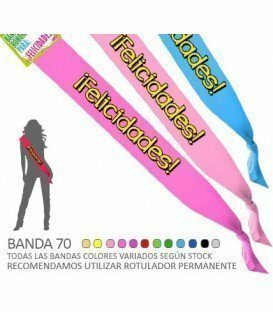 BANDA HONORIFICA DE 70MM PARA LOS QUE CUMPLAN 30 PRIMAVERAS O AÑOS. BANDA HONORIFICA DE 70MM PARA EL MEJOR PADRE. BANDA HONORIFICA DE 70MM PARA EL SOLTERO DE ORO CON COPA. BANDA HONORIFICA DE 70MM PARA EL MAS LIGON CON COPA. 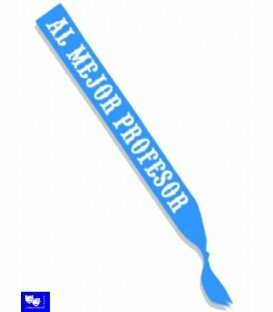 BANDA HONORIFICA DE 70MM PARA EL MEJOR PROFESOR. 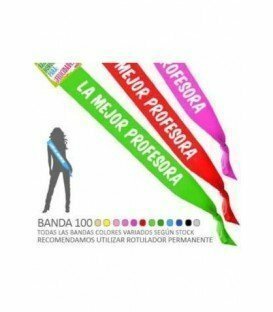 BANDA HONORIFICA DE 70MM PARA LA MEJOR PROFESORA. BANDA HONORIFICA DE 70MM PARA EL MEJOR QUE ELIJAS, PUEDES ESCRIBIRLO. 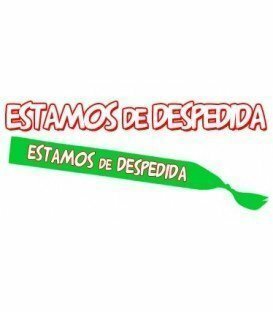 BANDAS HONORIFICAS ESTAMOS DE DESPEDIDA. BANDAS HONORIFICAS ESTAMOS DE FIESTA.